Blundstone 1451 lace-up boot in a Rustic Black leather. 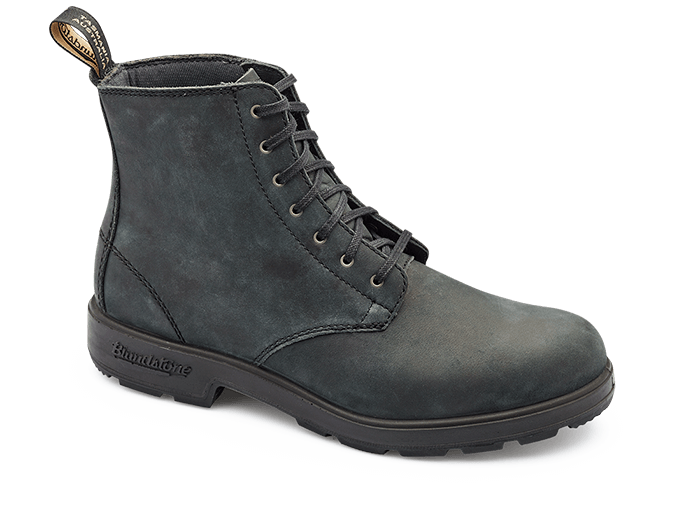 Adding to their popular Urbans range, Blundstone have now introduced a stylish lace up boot. Offering enhance comfort and cushioning, with their shock absorbing sole and removable footbed. Rock these rustic black suede boots for everything from casual wear to work.